It’s Friday and I’m tired. We took Harper to go “Trick or Treat with The Greeks” last night and her elephant Halloween costume was a hit. Frat guys and sorority girls love children who are dressed up as animals. Who knew?! Because we went out last night and Harper’s daycare is having a costume party today, Halloween festivities are officially over for me. 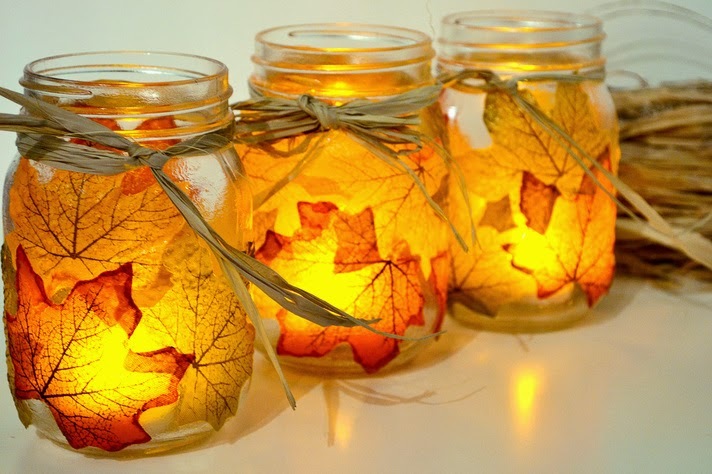 In the spirit of Fall and because I haven’t finished decorating for the season, here are some DIY projects I found floating across the interwebs. 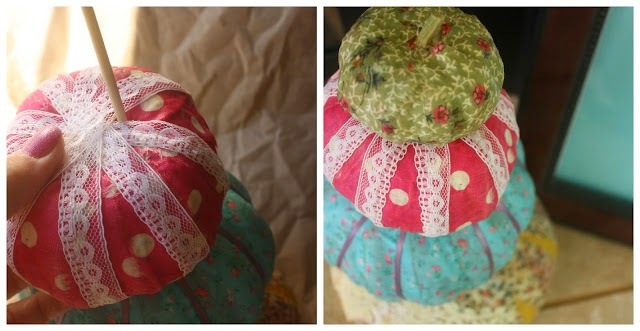 Fabric Covered Pumpkins– simple and straightforward. 5 Minute Fall Felt Leaf Garland– Do you know how to tie a knot/bow? You can do this. DIY Glitter Pumpkin– A very simple way to glam your place up for Fall or Thanksgiving. Autumn Leaf, Mason Jar Candle Holder– If you already have mason jars laying around, this project will cost less than a pumpkin spice latte. The Dollar Tree has leaves that look just like the ones used in the tutorial. Trust me, I’m the proud owner of two packs. Are you celebrating Halloween? Post your Instagram or Twitter deets if you have a public profile. We want to see those costumes! This post was fueled by coffee, a mushroom and ham omelette and the Halloween Metal Radio station on Pandora. Me too! I love easy, cute and inexpensive!